One of the most significant pilgrimage sights in Greece, the Agia Marina Monastery and its famous holy spring are located in Apikia north of the capital of Andros. The monastery is easily access by car or by local transport. The history of the monastery aged back to 1325, when was built during the byzantine empire. Αs the legend says, Saint Marina miraculously appeared to an ascetic elder in Litres and guided him to where her lost icon was hidden. After the fires, looting and arbitrariness that the monastery encountered, was renovated and reopened in 1975. Α great time to visit the monastery is July, because on the 17th of this month itcelebrates the memory of the Saint Marina with the presence of thousands of pilgrims. Panachrantou Monastery is located on the slope of Mount Gerakones and is the most beautiful Byzantine monastery of Andros. Surrounded by an imposing wall, the monastery looks like a fortress. 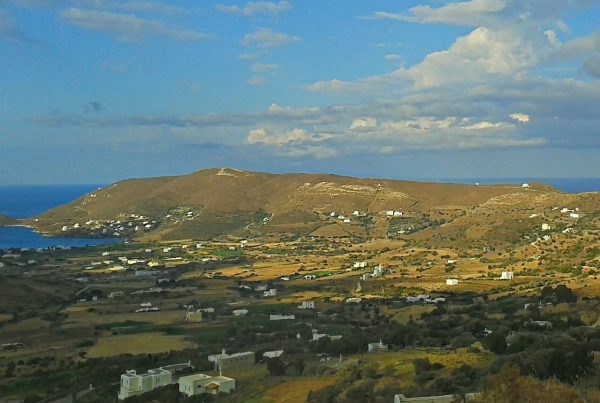 Located almost 9 km from Chora and 25 km from Batsi town, it is easily accessible by car or by local transport and offers a stunning view of the town of Andros and the surrounding area. According to the tradition, it was built by the Emperor Nicephorus II Phocas (963-969). The monastery houses the miraculous icon of Virgin Mary, rendered by St Luke. 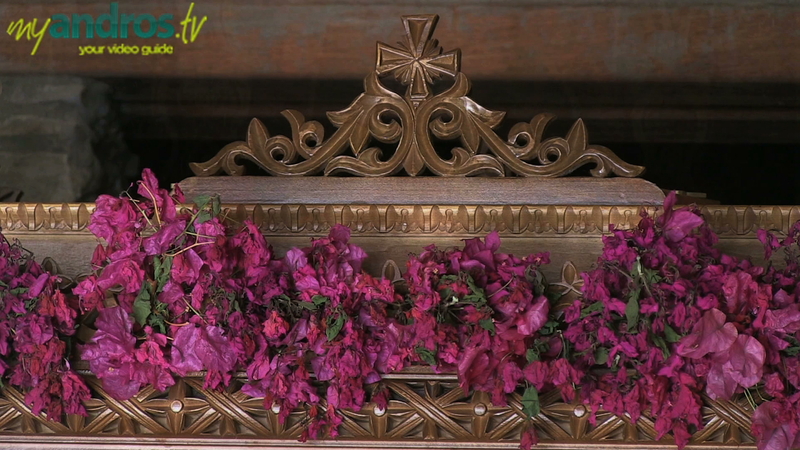 It also possesses the relic skull of St. Panteleimon, which was transferred there from Constantinople in 1705. The Panachrandou monastery, which was recently renovated and is celebrated on July 27th (St. Panteleimon’s day) and on August 15th. If you travel to Andros don’t miss the chance to visit this impressive monastery and enjoy its amazing view.